​We are expecting our first litter from Brazen and Buddy the End of July, 2016. This is an AKC Pembroke Welsh Corgi Litter (you cannot register a litter with AKC if one parent is Cardigan and the other is a Welsh Corgi. 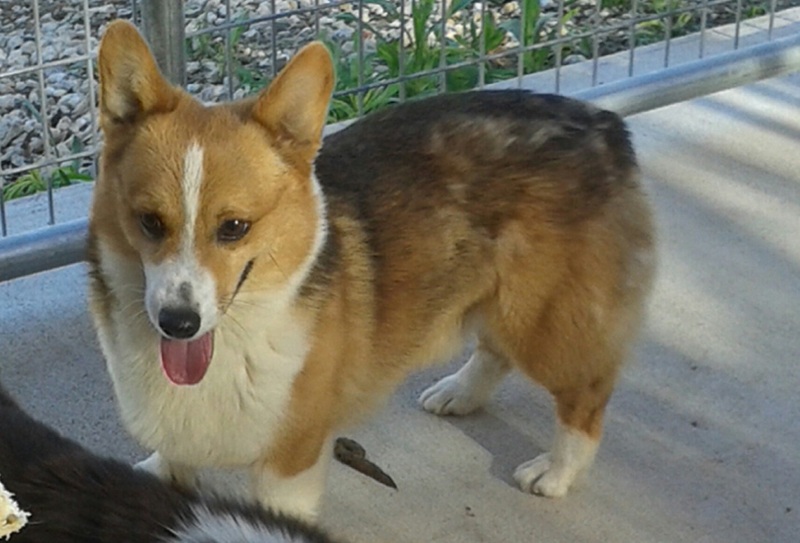 Our dogs are AKC Pembroke Welsh Corgi and will come with Full AKC Registration. 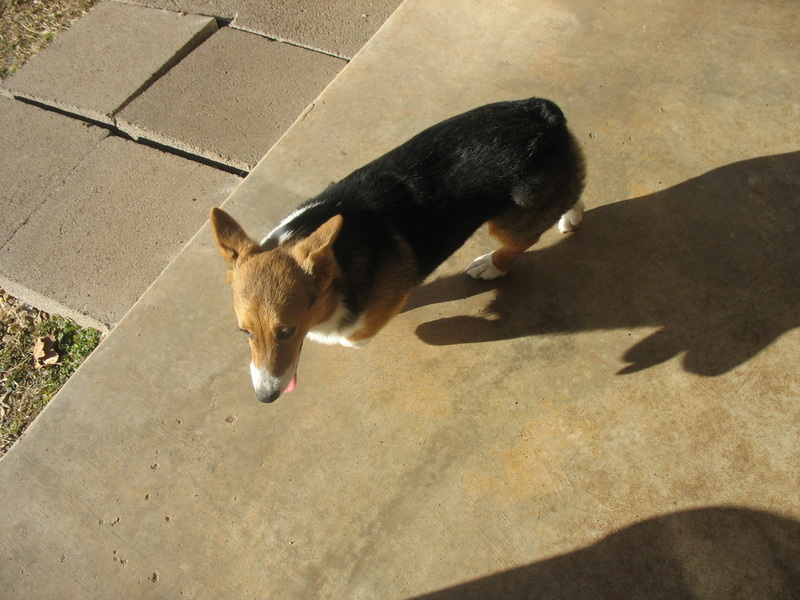 Buddy is the smaller Corgi's not the overweight heavy dogs that you sometimes see. Buddy is 20 lbs. Brazen is around 22 lbs. and also smaller than many. Both parents are friendly and outgoing, Buddy would like to herd or play with toys most of the time, Brazen also loves to play but really wants to be with you all the time. She is truly a best friend. They both get along great with other dogs and love Rita’s grandson who just turned 5. They play with him daily in the sandbox. You will see the three of them and a few of our other dogs circled him, protecting him and listening to every word he has to say. Buddy is Kathy of 4 Bar D Kennels’ male and Brazen is Rita’s female. These puppies will have their tails docked and their dewclaws removed. They will be very well socialized and up to date on their vaccinations and dewormings. All of our puppies come with a 1 year Health Guarantee, Health Records, 2 sets of puppy vaccinations and current de-wormings starting at 4 weeks old. They also come with a Puppy Starter Kit and a Life Time of Breeder Support. We ship our puppies with United/Continental Airlines throughout the United States of America, and Canada. Alabama, Alaska, Arizona, Arkansas, California, Colorado, Connecticut, Delaware, Florida, Georgia, Hawaii, Idaho, Illinois, Indiana, Iowa, Kansas, Kentucky, Louisiana, Maine, Maryland, Massachusetts, Michigan, Minnesota, Mississippi, Missouri, Montana, Nebraska, Nevada, New Hampshire, New Jersey, New Mexico, New York, North Carolina, North Dakota, Ohio, Oklahoma, Oregon, Pennsylvania, Rhode Island, South Carolina, South Dakota, Tennessee, Texas, Utah, Vermont, Virginia, Washington, West Virginia and Wisconsin. Shipping usually runs about $375.00, but is based upon the size and weight of the puppy when shipped. Shipping covers the cost of the airfare, new shipping crate that you keep and the Health Certificate issued by our Veterinarian. Basically all you do is Pay for him/her and Pick him/her up at your airport. Check out our web site at www.rrcustomcreations.com to learn more about us You are welcome to come and see us in central Oklahoma. Please call for an appointment Contact Rita at 580-925-2140.